Tired of boring language learning textbooks? 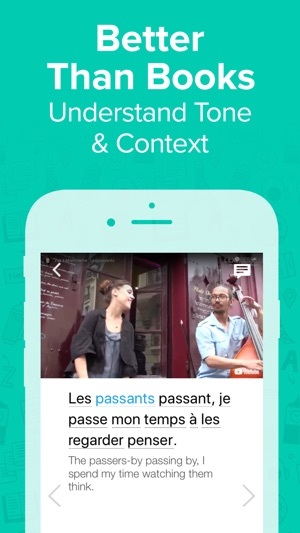 FluentU brings languages to life with real-world interactive videos! 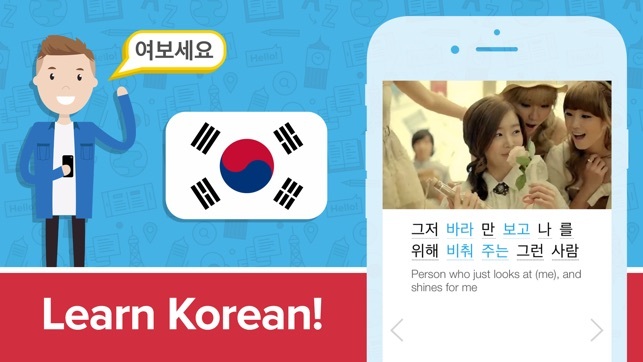 Learn to read and speak Spanish, French, Mandarin Chinese, German, Japanese, English, Russian, Korean and Italian with FluentU. 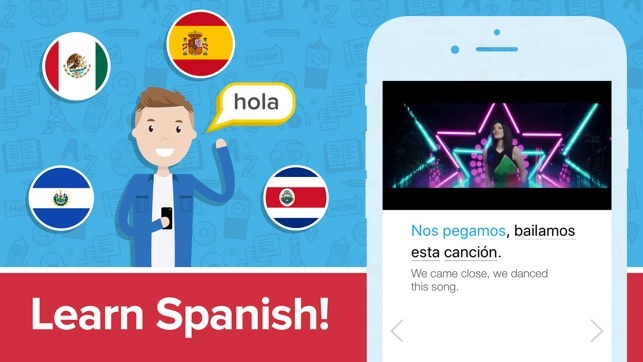 FluentU turns music videos, movie trailers, news and inspiring talks into an amazing language learning experience. Experience an immersive education that teaches you to speak and comprehend new languages in a natural way. 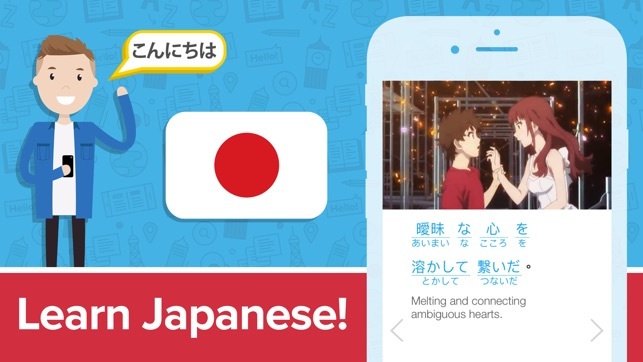 Now you can learn a new language while connecting with the culture. No matter what your skill level or interest, FluentU has you covered. "Great app. To my knowledge the best on the market. You created something unique and new!" "It is more helpful than any other tool I've used. I had been using podcasts before and trying to make flashcards, and that worked pretty well. But it ended up that I was spending more time making the flashcards than studying. FluentU really solves this." 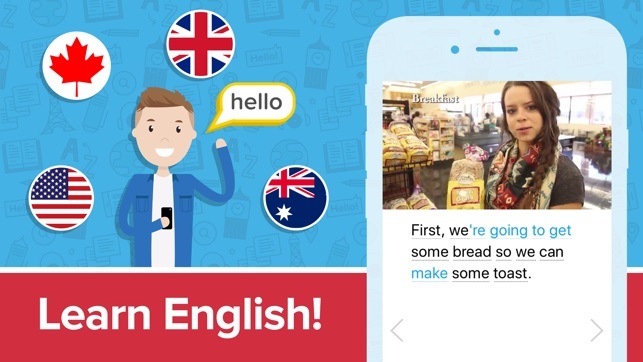 "FluentU has quickly become one of my favorite language-learning tools. Great job on an aesthetically pleasing app and an incredibly functional one." "This concept in FluentU is amazing. It's such a great way to help you understand a spoken language and the way you break it down is amazing." 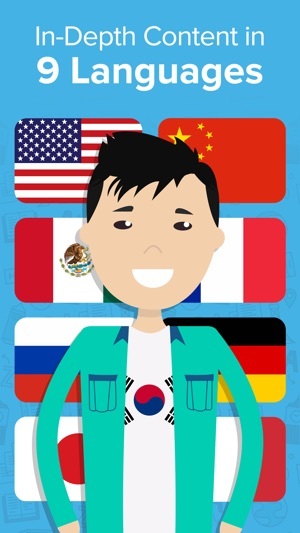 "This app is so fun and useful - the best Chinese language learning app I've ever used." FluentU is available as a monthly ($29.99 for Plus) or yearly subscription ($239.99 for Plus). If you enjoy FluentU, do nothing and your membership will automatically continue for as long as you choose to remain a member. You can easily cancel anytime, online. Just sign up to get started! If you subscribe via iTunes: Payment will be charged to iTunes Account at confirmation of purchase. Subscription automatically renews unless auto-renew is turned off at least 24-hours before the end of the current period. Account will be charged for renewal within 24-hours prior to the end of the current period and identify the cost of the renewal. Subscriptions may be managed by the user and auto-renewal may be turned off by going to the user's Account Settings after purchase. Any unused portion of a free trial period, if offered, will be forfeited when the user purchases a subscription to that publication, where applicable. I’m intrigued that videos are offered. I haven’t seen that on other language sites. Unfortunately, you can’t actually use the free trial without giving your credit card for future monthly payments. I’m very interested, but I don’t give out my credit card unless I know I want to use the resource for my kids and I. I would appreciate an opportunity, even if for the day, to peruse the site and try my hand at it before giving my personal and payment information. Side note: I have a high school junior studying Russian who has decided to major in Russian in college. A high school freshman who has taken an interest in Italian, and a 4th grader wanting to study Spanish. I wonder, when noting at the start of the app what language you wish to study, are we locked into that language for that email sign-on or if the app is fluid and we can switch between languages? 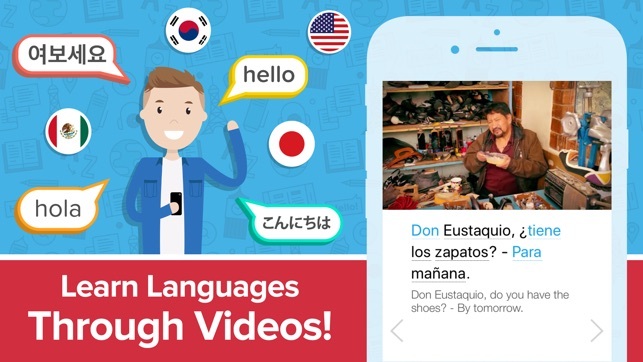 One subscription gives you access to all of our languages. You can switch back and forth easily via the app's Settings. We do require a payment method to sign up, but rest assured we won't charge you if you cancel at least one day before your trial ends. Just go to your iPhone's Settings and unsubscribe via your subscriptions. 1) Study the tones first. Train yourself to hear the tones and see if you can type the pinyin on your keyboard based on what you heard. Mimic the tones you hear. This app speaks them very slowly at first so you can hear the tone, then repeats it at a normal pace. DO NOT study with pinyin because you will use it like a crutch and it will really slow down your character recognition pace. 2) Do one playlist per day, don’t go crazy. Language learning isn’t a race, it’s not even a marathon; it’s a lifelong commitment. If you learn even 10 words per day and you learn them very well, then by the end of a year you will at least have basic conversational fluency. Learning 20, 30, 40 words per day will test your memorization ability, but it won’t improve your language skill. 3) Open your mouth! Repeat the words you hear in the exercises. If you’re not doing this, you’re skipping a very important exercise of these lessons. 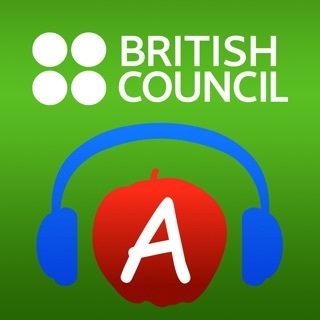 In the “audio” portions of the lessons, let it run and repeat a few times while repeating the words each time. They’re usually less than a minute, so it goes quick. Aim for 7-10 repeats before doing the quiz. 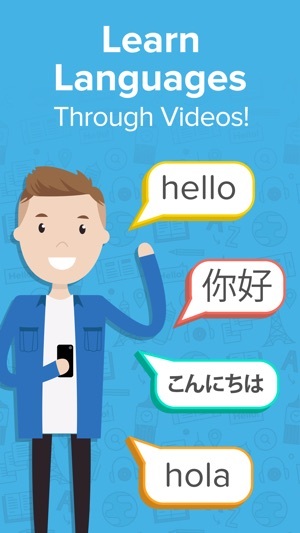 I’ve only started with the app and have some basic Japanese from other apps and self study as well as a full version of Rosetta Stone. This has been by far the most user friendly. 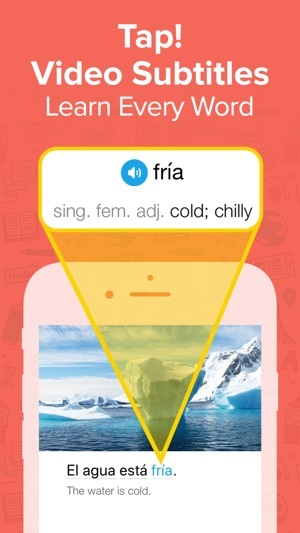 Rosetta Stone is brutal where FluentU is gentle and fun while still teaching you. The ability to see the kana, kanji and romaji is brilliant. Once you get your kana memorized well, you can turn off the romaji. I have high hopes for the long term of this app combined with formal college classes. I don’t think any single app or class will get you to a competent level. It is the combination of several methods and live practice with a native speaker if possible will get you there. I see this as being a solid foundation to build off of. If you have further comments or questions, just let us know by shaking your device.